A native of Louisville, KY, Alan lived in the Windy City of Chicago for 30 years before relocating to DC. After collegiate studies in marketing and advertising he made his way to the Women’s Apparel Industry, representing designer collections from New York, Toronto, Milan, and elsewhere. 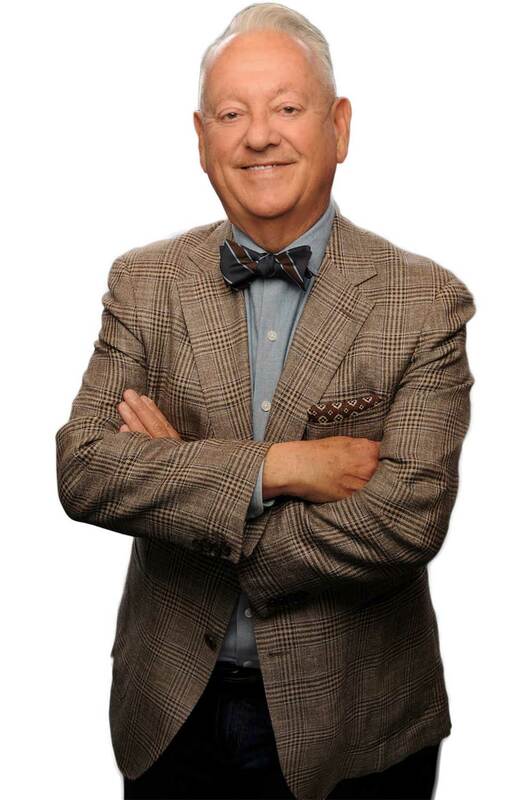 For more than two decades, Alan’s sales company marketed to fine boutiques, specialty stores, and major department stores throughout the Midwest from his Chicago Apparel Center showrooms. Business travels enabled Alan to experience urban living, neighborhood fabric, and city re-development across Chicago, Minneapolis, Cincinnati, Louisville, and many other cities large and small. With a keen eye for architectural detail, passion for urban housing, and a desire to reinvent himself in a bold career change, Alan entered the real estate industry in 2000. Since then Alan has focused on the sales of urban homes, condos, loft conversions, and mixed-use developments, helping hundreds of clients achieve their real estate goals in historic and mixed-use city neighborhoods. His personal experience in home renovations and redevelopment projects make him a valuable resource and advocate for buyers of old and new homes, and he is committed to outstanding service and personal care for each and every buyer! Alan and his wife Becky make their home on Capitol Hill, where they live the advantages of city life – Live+Work+Play – all within minutes of home. When not working with clients, Alan squeezes in an occasional round of golf, serves in community organizations, and explores DC’s ever growing restaurant scene. While supporting DC sports teams, Alan remains a life-long Chicago Cub fan, and bleeds Blue for University of Kentucky Basketball! An avid baseball fan and supporter of girls softball (especially his granddaughter! 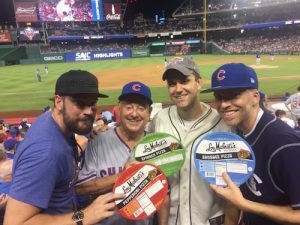 ), Alan loves catching a Cubs game when they come to town. The entire staff are incredible and very supportive. They really do go the extra mile to ensure you are taken care of. We could not be happier with our home and would recommend them to anyone considering buying a home! HIGHLY HIGHLY RECOMMEND THIS REALTOR!!! Working with Alan and Angela was literally one of the most amazing experiences that my husband and I have had in our lives. As first time home buyers, we were extremely anxious about the process and knew that we would need a lot of support and guidance to ensure that we ended up with the home of our dreams. Alan is incredibly knowledgeable and made sure that we were taken care of every step of the way. He quickly alerted us of opportunities and communicated with us daily as we narrowed down our real-estate choices. When we decided on a home to purchase, Alan and Angela were extremely thorough throughout the process and made sure that we were made aware of every aspect of it until our closing took place. Owning our dream home would not have been possible without Alan and Angela's incredible work. It was such a pleasure to go through this experience with members of the Joel Nelson Group and we HIGHLY RECOMMEND that you do the same if you have real estate needs! We are new to Washington DC, and Alan Mertz was a lifesaver for us to help us navigate the tricky world of renovated DC townhouses. We'd heard so many nightmare tales of bad renovations, but Alan gave us the lay of the land and helped us scope out the houses done by companies he trusts. He was patient with our very specific requirements, and ultimately helped us buy a house that met all our criteria for size, location, and brand-new renovation. Thanks, Alan and the Joel Nelson team! Alan is absolutely wonderful. He guided us through every step of the process of finding our first home. He offered thoughtful advice, was honest with his opinions, thorough in his research, and a pleasure to spend time with. He never made us feel pressured. We trust him absolutely. Our closing ran into more than a few bumps in the road (none of them his fault) and Alan went above and beyond to make the closing happen on time. We are very grateful to him for getting us our home, and I recommend him as an agent without reservation. From start to finish, we felt like our Buyer Agent Alan Mertz had our best interests at heart, 100% of the time. Alan listened to our wants and needs in a new home and understood us as a couple. During our settlement process, there were a few items that we requested to be fixed as determined by our home inspection and Alan leapt into action… ensuring that the work be completed correctly, timely, and by licensed contractors. This helped give us the peace of mind that we were purchasing a house free of any unforeseen problems. Rest assured, if you use Alan as your agent in the DC area, you are working with one of the best persons for the job. Alan is one of the sharpest, most charismatic real estate professionals I have known. He is enthusiastic, honest and dependable. You can't go wrong with Alan! Alan helped us buy a wonderful home in Louisville, travelling back to his hometown market. He was a great resource about the city, as we were moving from DC. He was also good company for our non-stop two-day fly in/out home search. Alan knows his market, provides extensive knowledge and detail on "what is hot" and what makes a project sell quickly and at full market value. He represents both sellers and buyers fairly and with integrity, working tirelessly to achieve their specific goals. We had great success with the projects Alan represented us on. We worked with Alan on the purchase of our DC home. Circumstances outside of Alan's control (inventory, competition, etc.) made for a challenging process, but Alan maintained good spirits throughout the process. We also appreciated his thorough expertise of the market, renovation issues and the home buying process. I would definitely recommend Alan to other individuals seeking a consummate professional to guide them through the home buying process. Alan was wonderful to work with, and gave us great advice at each step in our home search. He was one of the brightest, kindest, and most responsive agents I have encountered. I recommend him to anyone looking for a home in DC!